Well, this has been another difficult week for Bob. He has not improved like the doctors had hoped, but he remains with us. Vicki is in OKC with her mother. She just wants to be there when the next change comes for her Dad. I told her to do whatever she needs to do at this time. Of course that means that I am home alone. It seems like I get confused about what I am supposed to do when Vicki isn’t around to tell me what I need to do. Of course when we talk she always asks what all I have done and then ‘suggests’ some things I might do. Joshua and Danielle are close by along with Harper and Sutton. I still get to see them some and even get to take Sutton to school. My church family is there for me as well. They call and check on Bob. They ask if there is anything they can do. It is great to have a loving and caring church family. Yes, as the days come to an end, I am at the house alone. It is quiet and at times the quietness is almost deafening. While I kind of like the quiet at times, the being alone isn’t all that. I flip through the channels on the TV, check my e-mail, and then do it all over again. Yet, being alone has its benefits. It is in the quietness of the evening that I am able to reflect on all that has taken place through the day. In my mind I go back to the conversation that I had with one of the preschoolers about them sitting in my chair. They didn’t give it up for me. Then I go back to the conversation that I had with one of the deacons about something that was going on across the street from the church. I consider what he said and the steps he took to make sure there was no threat to anyone’s safety. I think about what the coming days hold. There are people that I need to contact either by phone or see them face to face. I have some studying that I need to do in preparation for the coming sermons. I also need to make sure I am ahead of things just in case I need to go be with Vicki. But the best thing about my time alone is the fact that it gives me time just to pray over all that is taking place. It is just a great opportunity to talk with the Lord about all that has been going on and the things that have come up. Jesus had His times when it was good for Him to be alone. In Matthew 14:23 it says – “After He had sent the crowds away, He went up on the mountain by Himself to pray; and when it was evening, He was there alone.” Jesus used that alone time to talk with the Father. Alone, but never alone. 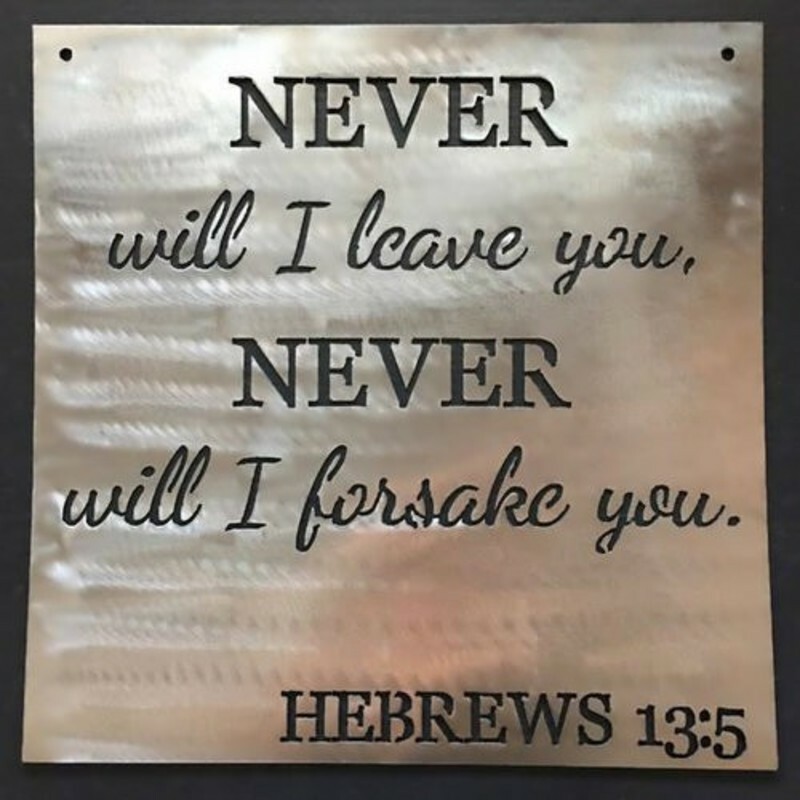 God has promised He will never leave us nor forsake us. We can be confident that we don’t ever have to walk alone. Christ will be with us every step of the way. 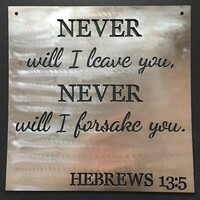 Hold to Him.